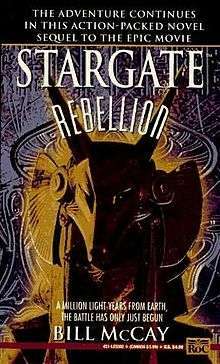 This is a list of currently or to be-released Stargate literature. The official Stargate Magazine, produced by Titan Publishing, began publishing short stories written by Fandemonium authors in their 8th issue. The stories alternate between both SG-1 and Atlantis. The magazine was available in the UK and internationally through Diamond Comic Distributors' Previews catalogue, and ended with issue #36.